Here you will find a eclectic bunch of stuff from tech reviews, science news and help guides, enjoy ! A recent high profile publication in Science Translational Medicine proposed that antioxidants might increase the rate of metastasis in mice models of melanoma. NAC and the soluble vitamin E analog Trolox markedly increased the migration and invasive properties of human malignant melanoma cells but did not affect their proliferation. Both antioxidants increased the ratio between reduced and oxidized glutathione in melanoma cells and in lymph node metastases, and the increased migration depended on new glutathione synthesis. Furthermore, both NAC and Trolox increased the activation of the small guanosine triphosphatase (GTPase) RHOA, and blocking downstream RHOA signaling abolished antioxidant-induced migration. These results demonstrate that antioxidants and the system play a previously unappreciated role in malignant melanoma progression. This goes against the common idea that anti-oxidants are cancer fighters! I am honoured to have recently joined the National board of directors of the Australian Society for Medical Research (#ASMR). This is a fantastic society that has for decades fought for a better working environment and more sustainable investment in Medical research. We recently launched a campaigned to help restore much needed funding to the sector, which as many of you know this year is facing its worst level of grant success rates in years. Please read the information below, and using the template letter lobby your local, state and national MPs to help convince them of the urgent need and benefits of Medical Research. Abstract submissions and registration are now open. Please click here and follow the on-screen prompts. Our Latest Review Article “Stressing Mitosis to Death” is now online ! 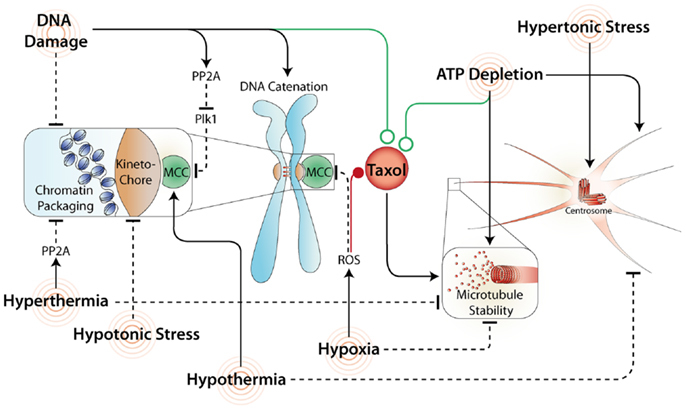 Open Access Article on how stress affects mitosis and the response the the mitotic chemotherapy drug Taxol. Great news, our latest review article “Stressing Mitosis to Death” has been accepted for publication by Frontiers in Oncology. You can access the provisional pre-press version here. Finally here is one of the beautiful figures drawn by our own Sam Rogers for the Review! Hope you enjoy the read ! Hi, I'm Andrew. Welcome to my blog. I am a researcher by trade, with a focus on cell biology and cancer. I started research back in 1998 as a post-grad student, and got my PhD in 2004. In addition to this I also am a tech geek, and addicted to music. Thus its probably no surprise to find that this blog covers this broad and eclectic background. Anyways I hope you enjoy reading, and feel free to leave a comment.